We’ll be delivering the work to Blairmore Gallery on Saturday morning and so this week is one of getting everything ready and packed. I had the final couple of paintings back from the framer last week and have had all the work spread around in the studio. 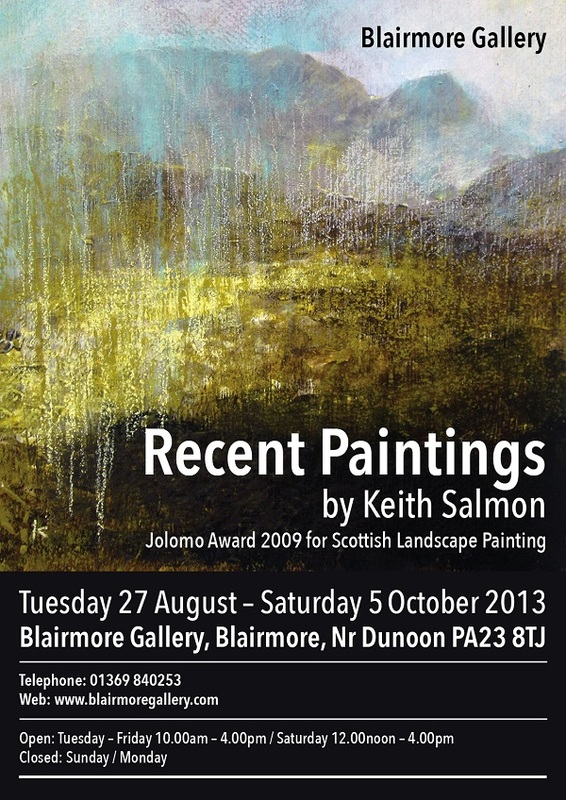 There’s not a large space to exhibit at Blairmore Gallery and in the past I’ve usually selected a maximum of 20 pieces. This year, after much consideration and many changes of mind, I’ve decided to take 17 pieces, (15 paintings and 2 drawings). I had hoped to take one of the new large graphite drawings but at 56 inches long, I reckon this would be just too big for the space. Instead, (for the one large piece) I’ll be taking one of my 80 x 80 cm paintings instead. It’s always difficult selecting which pieces to include, but now that I’ve made my final choice I’m quite pleased with how it should look. Here then are six of the paintings to be included in the exhibition.